Ever have that dream where you have to give a class presentation only to look down and realize you have on no pants? Yeah? Well, we have a version of that too. It was opening day and people were coming down the driveway and in that moment I realized a huge bookcase (why is that there at all???) was covering the concession stand. I pushed it down with my super human she-woman strength only to see that I had no food! What’s worse, I had no drinks! No Pepsi truck had graced us with its presence because I had not ordered any! I found some Dr Pepper and decided that would work (this is a dream, remember) and hey, there’s a corn field right there (never mind it’s field corn, not sweet corn, I’m desperate and I’ll figure something out). Wait, didn’t we grow a few peanuts this year? I can use those. Phew! One hurdle down. Wait, where are the animals? Is that seriously a goat on the slide? And where is the corn for the corn cannon? That’s right, the ponies are eating it. At least I know where they are. Now where did the hayride trailer go? Why am I the only employee on this farm???!! Thank goodness I woke up at that point and have never been more happy to realize something was just a dream. Time to breathe into a paper bag for a while. See, we work really hard about 10 months out of the year to make sure your experience at CornDodgers Farm is exceptional and sometimes all the planning and particulars get a little overwhelming. We take our family fun obligations very seriously. Ten, fifteen years from now, the kids might not remember how it felt to jump on a 30 x 60 pillow (well, who are we kidding, they probably will), but they will for sure remember big sis putting down the phone and jumping with them. Oh, and making corn angels in the corn crib with Papa, that was awesome! The 2015 maze design will be long forgotten but not laughing with Mom the seventh time she took the same turn and man, did you see the view from the top of the slide? Maybe little Billy rung the barrel at the corn cannon, maybe he didn’t, but he does know he shot it farther than Dad did and that was pretty cool. Our tagline and mission is “make some memories, start a tradition.” That’s why we are here. The attractions are super fun but they are just a means to an end. 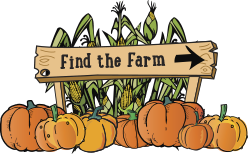 Whether you come every year or this October will be your first, we sincerely hope you enjoy our farm and use it to make some memories that will last a lifetime. Previous post: Just how do they do it?